In the Name of Allah, Most Gracious, Most Merciful. The tendency in the early stages of the Islamic finance industry was to replicate successful products from the conventional finance industry after adjusting them to conform to Sharīʿah principles. This strategy has been highly effective in placing Islamic finance on the global map. Both Muslims and non-Muslims have been attracted to products such as those structured using debt-based Sharīʿah contracts. Newer generations, from both the conventional and Islamic milieu, have raised their expectations of finance to be more responsive to their desire for social and environmental impact. As a result, bankers and finance practitioners are having to look for innovative and more socially responsible strategies to bring greater added value to the practice. Within the area of Islamic finance, “sustainability” and other themes such as “value-based intermediation” and “Islamic social finance” have thus gained significant attention. They are being promoted to advance the ethical values underlying Islamic finance. The objective is also to encourage the development of an improved suite of products and services that would facilitate community empowerment, sustainable environment and economic growth. The objective is, however, to achieve these socially laudable goals without compromising the elements of profit and shareholder returns. The challenge therefore is about dispelling the “replication” habit and getting into the latest “value-addition” mode to pursue the higher objective of sustainability with/beyond profits. Disruptive tools such as fintech and blockchain technology are accordingly being looked into to advance this latest narrative of Islamic finance. Current discourses in academic conferences and Islamic finance forums are seen to feature the above debates. Examples include: the Global Islamic Finance Forum (GIFF) 2018 organised by the Association of Islamic Banking and Financial Institutions (AIBIM) in support of Bank Negara Malaysia (Theme: Value Based Intermediation – Beyond Profit) and the Global Islamic Economy Summit (GIES) 2018 held under the patronage of the Vice President and Prime Minister of the UAE and Ruler of Dubai (Theme: Inclusiveness, Innovation, Sustainability). One of the interesting topics in the agenda of the GIES is about promoting Islamic finance as the new SRI: Sustainable, Responsible and Islamic finance. 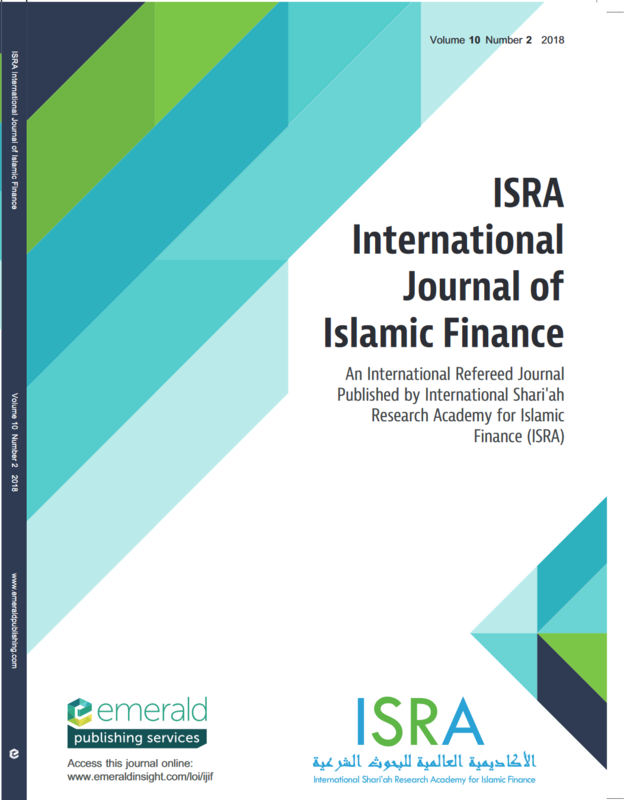 This December 2018 issue of the ISRA International Journal of Islamic Finance also includes themes of sustainability, financial inclusion and social finance. It also provides opportunities to authors to debate other topical issues such as Islamic home financing, credit risk management, corporate tax and Tawhidi economics, among others. This issue comprises ten articles written by authors from a wide span of countries and experiences. The first article is titled “Can UGITs promote liquidity management and sustainable development?” by Dalal Aassouli, Muhammed Shahid Ebrahim and Rohaida Basiruddin. It makes an innovative proposal based on the Unleveraged Green Investment Trust (UGIT) model to develop liquidity management solutions for Islamic financial institutions. The suggested solution is consistent with Basel III regulatory requirements and meets sustainability objectives. The authors define UGITs as “investment trusts that manage income-generating green assets and offer regular income in the form of dividends”. Drawing from the innovation inherent in infrastructure and renewable energy investment trusts, the article explains the workings of the UGIT model whose common equity shares can: qualify as Level 2B high quality liquid assets; be eligible for repo transactions with central banks; and serve as the underlying asset for short-term ṣukūk issuance. The second article is titled “Qualitative validation of a financially affordable Islamic home financing model” by Mohd Zaidi Md Zabri and Mustafa Omar Mohammed. It proposes a venture between cash waqf (Islamic endowment) institutions (CWIs) and financial cooperatives (FCs) for the provision of affordable Islamic home financing in Malaysia. The paper leverages on the unique value proposition of FCs in helping marginally excluded Malaysians to affordably own a house and harnesses the potential of waqf-based financing beyond its contemporary limited applications to mosques, graveyards and schools to propose the Cash Waqf– Financial Cooperative–Mushārakah Mutanāqiṣah (CWFCMM) model. In this article, the authors gathered the views of ten experts on the suitability of the CWFCMM model and issues, challenges and prospects related to its implementation. The third article is titled “Sharīʿah-compliance ratings of the Islamic financial services industry: a quantitative approach” by Muhammad Hanif. It aims to develop a Sharīʿah-compliance rating mechanism for Islamic banking institutions using the objectives of the Islamic financial system as the basis for developing the ratings. The study develops a quantitative scoring mechanism taking into account four major aspects of Islamic banking operations, including portfolio construction, access to finance, reputation and Sharīʿah governance. The Sharīʿah rating mechanism can be useful to Islamic banks, as it can be applied to grade them according to their varying degrees of Sharīʿah compliance. The fourth article is titled “Credit risk management: a comparative study of Islamic banks and conventional banks in Pakistan” by Hassan Akram and Khalil ur Rahman. It seeks to examine and compare the credit risk management scenario of Islamic banks (IBs) and conventional banks (CBs) in Pakistan by analysing financial ratios pertaining to loan and asset quality. The study uses a sample of five CBs and four IBs to conduct the analysis over the period of 2004 to 2016. On the basis of the significance of the results, the article provides some recommendations for banks in Pakistan to consider. The fifth article is the practitioner’s article, titled “Bayʿ wa salaf in Islamic banking current practices” by Munawwaruzzaman Mahmud, Muhammad Hisyam Hassan and Nur Fathin Khairul Anuar. The objective of the article is to examine the issue of bayʿ wa salaf (the combination of sale and loan contracts in a single arrangement) by analysing jurists’ discussion thereon. Based on the Sharīʿah findings on the issue, the paper examines existing Islamic banking products and services that make use of the contracts of bayʿ and salaf in their structures to assess their conformity with Sharīʿah principles. The authors argue that in-depth discussion on current Islamic banking practices which may involve the issue of bayʿ wa salaf can contribute in reinforcing market confidence in the operations of Islamic banking and finance in Malaysia. Cooperative-waqf model: a proposal to develop idle waqf lands in Malaysia” by Anwar Allah Pitchay, Mohamed Asmy Bin Mohd Thas Thaker, Al Amin Mydin, Zubir Azhar, and Abdul Rais Abdul Latiff. This article proposes a cooperative-waqf model as an alternative to develop idle waqf lands facing funding constraints in Malaysia. Contrary to traditional models of cash waqf where donors merely contribute to a waqf project without information on how the contributions are utilised, the model proposed in this article uses the cooperative concept to create a membership relationship between cash waqf donors and waqf institutions. As members of the waqf project, donors will not only receive updates on the project’s progress but will also be eligible to receive benefits from commercialised projects being developed on waqf lands. This synchronised relationship between cash waqf donors and waqf institutions, according to the authors, is expected to boost participation in developing idle waqf lands in Malaysia. “Analysing ar-rahnu in the context of informal credit market theory: evidence from women micro-entrepreneurs in Malaysia” by Nik Hadiyan Nik Azman, Salina Kassim, and Adewalee Abideen Adeyemi. This article investigates the factors determining the usage of ar-rahnu (Islamic pawnbroking) among women micro-entrepreneurs in Malaysia within the framework of the informal credit market theory. The study was conducted in three states of Malaysia (Kedah, Kelantan and Terengganu) and received inputs from 600 participants. Elements such as low service charges, easy access to ar-rahnu institutions and customer satisfaction were found as being significant in determining the use of ar-rahnu by women micro-entrepreneurs in those states. “Malaysian corporate tax rate and revenue: the application of Ibn Khaldun tax theory” by Hairul Azlan Annuar, Khadijah Isa, Salihu Aramide Ibrahim, and Sakiru Adsebola Solarin. The article uses the theory of taxation by Ibn Khaldun, depicted as the Laffer curve, to study the impact of the policy of gradual reduction of the corporate tax rate on corporate tax revenue in the context of Malaysia. The study was conducted over the period 1996 to 2014. It finds that the lower corporate tax rate reduced the cost of doing business in the country, which had a positive impact on economic growth. However, it also reveals that lowering the corporate tax rate further beyond the optimal level may lead to decreases in corporate tax revenue. “Tawhidi Islamic economics in reference to the methodology arising from the Qurʾān and Sunnah” by Masudul Alam Choudhury. This article discusses the critique of mainstream economic reasoning and its imitation by existing models of Islamic economics. 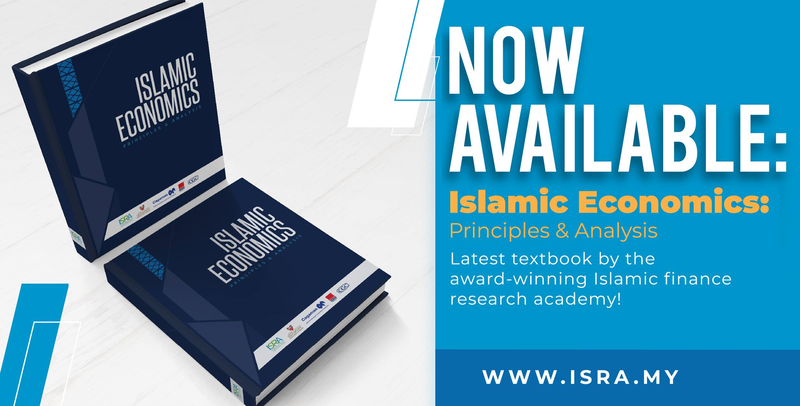 Based on the epistemology of tawhid (oneness of Allah), as established from the Qurʾān and Sunnah, the paper delineates a new socio-scientific reasoning, including an economic reasoning called Tawhidi Islamic Economics (TIE). Finally, it introduces the method of instructing students based on the TIE approach. “Islamic finance: financial inclusion or financial migration?” by Ahmed Tahiri Jouti. This article examines the issue of financial inclusion from both the conventional and Islamic finance perspectives. It presents a methodology on how to assess the impact of introducing Islamic finance on financial inclusion based on the profiling of people interested in Islamic finance. The study concludes that, depending on the profiles of customers, the introduction of Islamic finance in specific contexts may not necessarily lead to financial inclusion; it can also cause a financial migration towards Islamic banks. We are pleased to inform that the ISRA International Journal of Islamic Finance has been successfully evaluated and accepted for inclusion in Scopus as of 12 April 2018. Scopus is Elsevier’s abstract and citation database; it evaluates and validates peer-reviewed journals for inclusion in Scopus, or exclusion from it, using transparent and fair criteria. Articles published in ISRA International Journal of Islamic Finance have already appeared in Scopus, backdated from Vol. 9 No. 1 (June 2017). As from 2019, the Journal will also be having an Impact Factor. Through indexation in several database services, the Journal has become more accessible to a larger number of readers and attractive to authors from a more international background. Our hope is to continue improving the standard of the Journal by publishing articles of the highest quality and substance in the field of Islamic banking and finance. As always, we thank all contributors to this Journal issue and wish our readers a pleasant read. Allah (SWT) is the Bestower of success, and He knows best.